Devon Battle 2015 2nd place! Phoenix Camera Club were delighted to gain Second place in Devon’s most prestigious inter-club photograph competition. The “Devon Battle 2015,” was hosted by Exmouth Photographic Club earlier this month. This year’s event was held at Clyst St Mary where 14 clubs from around the County took part in the competition. 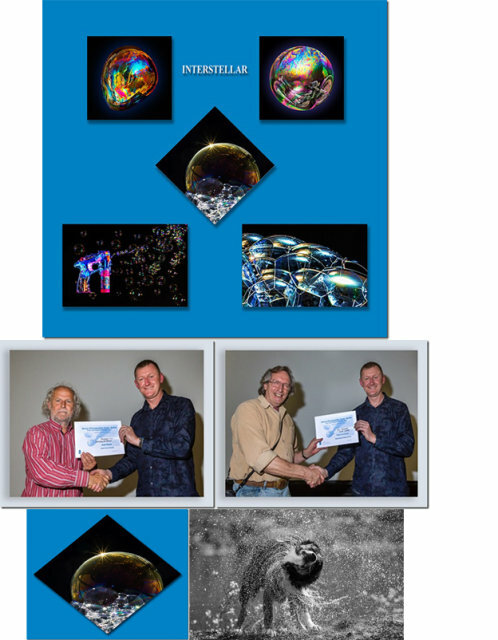 The panel of 5 prints, entitled “Interstellar Bubbles,” entered was well received by the judge and missed out on the top prize by just one point to Exeter. A big WELL DONE to the photographers who achieved this, to Mike for co-ordinating and to Bob for the printing. Eric. When & where we meet.